If you are looking for the ultimate truck, come see the truck experts at Expressway Trucks. We give you the complete package of sales and service with our trained Parts and Sales staff and factory trained technicians. We have a large selection and we can also custom fit you into a new Volvo or Hino Truck. Complete leasing and financing services are available. 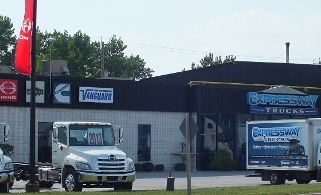 Expressway Trucks is southwestern Ontario's leading medium and heavy truck sales and service provider with locations in Ayr (Waterloo), London, and Windsor. 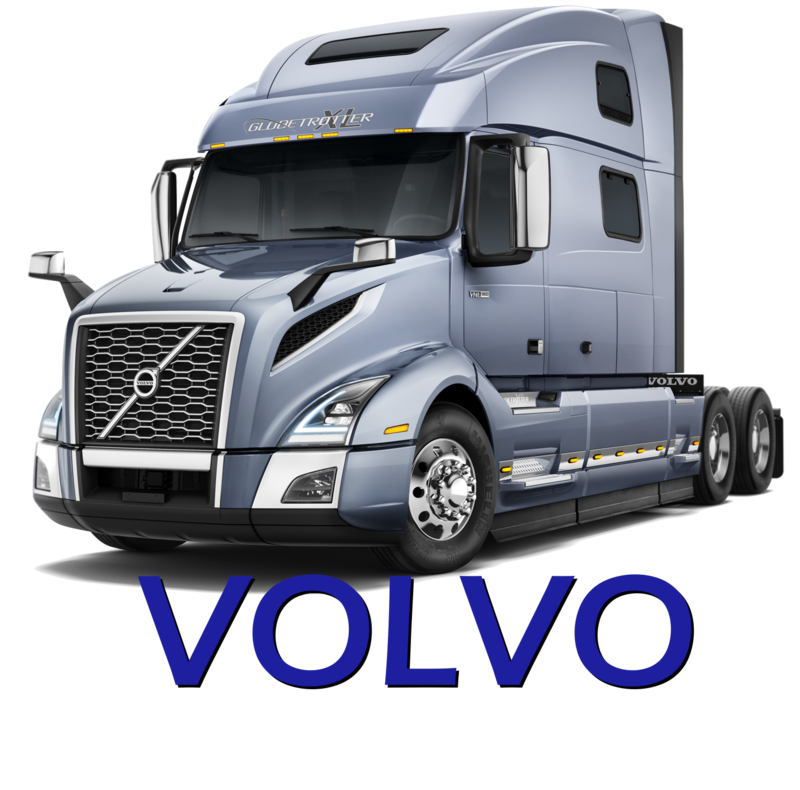 We represent Volvo heavy trucks, and Hino medium trucks, and we specialize in the service and repair of all makes of medium, heavy duty trucks, highway tractors, and trailers. We represent the best trucks money can buy! Volvo Heavy Trucks are the leader in design and function when it comes to heavy trucks worldwide. Get the job done in style and comfort, with the knowledge that you are operating one of the safest and most efficient machines on the road today. Looking to Buy Volvo? Click here. 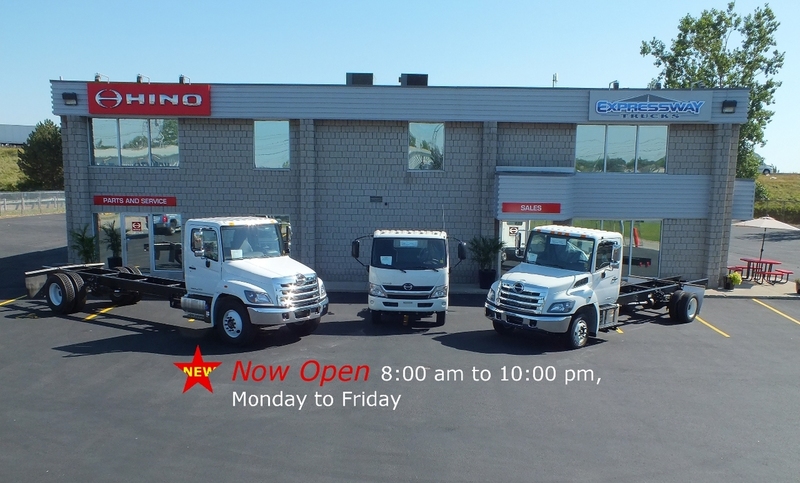 Hino Medium Duty Trucks are proudly build right here in Ontario. 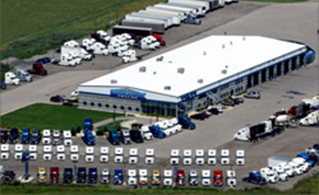 They have a proven track record of over 40 years in the Canadian market. Hino Trucks come with the BEST Warranty in the industry, so if you need a new truck, you owe it to yourself to look at Hino. Looking to Buy Hino? Click here. Check out our new Body and Paint shop page! 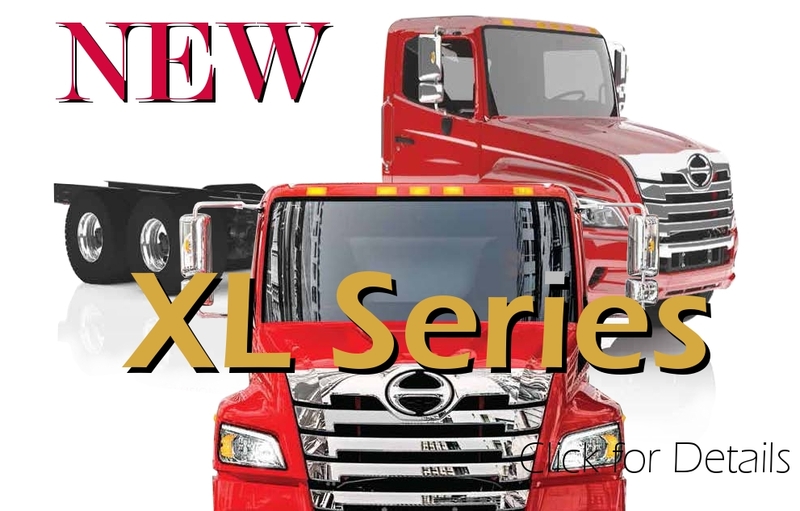 The new VNL, redefining the way a premium truck is built!